Interested in property investment?If so you probably want to make sure your portfolio is successful and will grow in value. But with so many pieces to the property research puzzle, how do you make the right decisions to ensure positive outcomes?I believe demographics will hold the key to the future of our property markets. How many of us there are, how we want to live and where we want to live will be a more important factor shaping our future property markets than the short term ups and downs of supply and demand, consumer sentiment or interest rates. This means understanding Australia’s lifestyle and demographic trends will provide you with the type of insight you need for constructing a successful property investment portfolio. So let’s have a quick look at some interesting Australian demographics trends and their implications. Our baby boomers are becoming empty nesters and as a result, their lifestyles are changing. Many are getting ready to retire from work, downsize the family home and travel more. 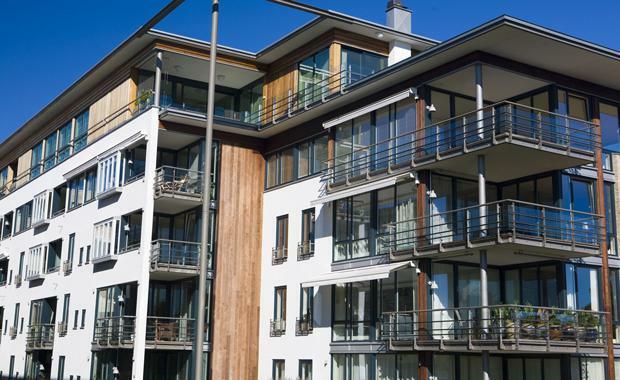 Most won’t be looking at sea change or tree change, however apartment living which boasts security and requires much less maintenance will be attractive many of them. The average number of people living in each household is decreasing as the proportion of lone-person households, couple only and single parent plus dependent children households are on the increase. This means there is less demand for sprawling properties with four bedrooms and more demand for smaller medium density properties. Our current population is just over 24 million people and even though population growth is slowing, it is estimated that this will increase to 28 million by 2026 (that’s just ten years away. )Close to four out of five of this increase – some 3.2 million people – are expected to be housed in our capitals, and mostly in Melbourne (925,000); Sydney (820,000); Perth (710,000) and Brisbane (530,000). This means we’ll be a need to build some 1.72 million new dwellings in the next 10 years, of which 75% or 1.3 million will be in our capitals and higher density housing is easier to supply. In fact, building approvals for high density housing are quickly catching up to detached houses in Sydney and Melbourne in particular, with Brisbane not far behind. The property market is becoming less accessible for for first time homebuyers. Housing affordability, in our capital cities in particular, is among the most expensive in the world. Many more first time home buyers are willing to compromise their housing preferences just to get into the market and many start off buying an apartment rather than a house. Others become renting investors living (renting) where they choose (but can’t afford to buy) and buying an apartment as an investor. Generation Y has different preferences to the generations before it. There is an increase in the number of people wanting to live in the inner city, or close to the CBD, so they are closer to work, social life and attractions and apartments are much more convenient for their lifestyle. These demographic trends have some important implications. Apartment living is on its way to becoming more popular than ever; it is certainly superseding the quarter acre block as the great Australian dream. These changes in Australia’s lifestyle preferences are indeed having a ripple effect on the economy and they also mean significant and lasting changes to the real estate market. So now that you are up to speed on the why of apartment living, you need to start thinking about how to intelligently invest in this type of property. With all of this evidence, the debate about whether houses or apartments make a better investment just got a lot more interesting. You really can’t stay stuck in the camp that believes property investment is all about land value and number of bedrooms. At the very least, it is worth considering how to diversify your property portfolio to include an inner suburban one or two bedroom apartment. Investing in apartments still requires the same comprehensive level of scrutiny and due diligence as free-standing homes and, like every type of property investment, there are some winners and some bad eggs out there. For example, there is a looming oversupply of inner city (CBD) apartments in Melbourne, Brisbane Perth and to a lesser extent Sydney. Some of the monoliths coming out of the ground are destined to be the slums of the future. Plus with the recent changes to investor lending, local investors are going to have difficulty settling their purchases and many foreign investors will have no chance of settling – most banks have pulled the rug out from under them and are no longer lending to foreign residents. My advice is to steer clear of off-the-plan apartments and look for properties with an element of scarcity. I would look for an apartment in a sought-after inner or middle ring suburb, in a building that has a bit of ‘character’ and a good proportion of owner-occupiers. And with capital growth likely to be lower in the coming years, I look for properties to which I can add value through renovations, rather than wait for the market to do the heavy lifting. Apartment living looks set to be the way of life for the future and strategic investors need to work out how and when they are going to respond to this growing trend. Michael is a director of Metropole Property Strategists who create wealth for their clients through independent, unbiased property advice and advocacy. He’s been voted Australia’s leading property investment adviser and his opinions are regularly featured in the media. Subscribe to his blog at Property Update.